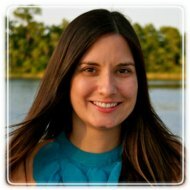 Orlando Therapist: Amy Smith - Therapist 32819. Do you feel that you or your child struggles with communicating wants, needs, thoughts, and feelings? Would you or your child benefit from the chance to build confidence and learn new tools to be successful in life? Have you lost hope in your ability to help yourself or your child? Everyone wants the best in life for their child, them self, and their family; sometimes they just need guidance, support, new ideas, and hope. My experience stems from helping children, adults, and families, through individual and family counseling address stress, anxiety, self-harm, depression, OCD, ADHD, defiance, anger, grief and loss, divorce, low self-esteem, social skills, communication skills and more. My counseling approach is both individualized and eclectic. I often use, but am not limited to, the cognitive behavioral approach, positive psychology, sand tray therapy, directive and non-directive play therapy in sessions, and exposure and response prevention (ERP). My approach is to offer a non-judgmental space for you or your child to identify patterns, blocks, and coping skills that are either working or not working in your life. Once these have been identified new tools can be introduced to replace the ones that are not serving you. Through collaboration, assigned homework, and the therapeutic process we will come up with strategies and tools to help you safely move through your feelings and emotions. In working together you or your child can gain the confidence needed to express wants, needs, thoughts, and feelings in a way that is healthy for you. It is my philosophy that with awareness and a positive outlook, change can happen. My goal is the tools you learn will carry on long after our work together is complete. I believe you have already taken the first step by spending time on this site. It would be my honor to help you the rest of the way.